Lillian Opal Grubb, daughter of Lloyd Grubb and Bertha Jarvis, was born July 15, 1918 in Taylor Co., Iowa and died May 5, 2010 in Grant City, Worth Co., Missouri. 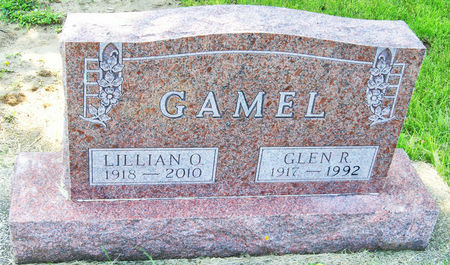 She married Glen Raymond Gamel April 6, 1940 at Bedford, Taylor Co., Iowa. He was born May 1, 1917 in Taylor co., Iowa, son of George Ray Gamel and Goldia May Pace, and died April 8, 1992 in Maryville, Nodaway Co., Missouri. Searching for LILLIAN OPAL GRUBB GAMEL in Taylor County Iowa?